Although not noted as a significant producer of precious metals, Texas has contributed its fair share of placer gold and lode gold and silver, as well as other economically viable metals and minerals. West Texas in particular has figured prominently in this output, and that fact forms the basis of this post. The Chisos Mine is considered to be the most significant in this district. 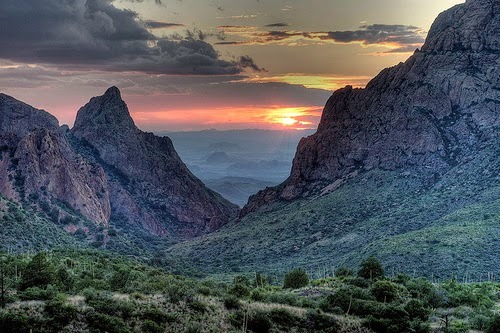 It lies very close to Big Bend National Park. Chisos was mined strictly for cinnabar or mercury ore, or as the old timers called it, "quicksilver." If that little tidbit doesn't quite get your gold miner's heart beating in excitement you should understand that mercury was in very high demand for use in amalgamation processes during the California Gold Rush (1849-1855) and the subsequent gold and silver mining operations that blossomed in the West and Southwest after the Gold Rush was in decline. Mercury was sold by the flask and during the Gold Rush a flask sold for nearly the same price as an ounce of gold ($16.00-$22.00). Currently mercury sells for around 36 cents per gram. Anyway, the Chisos Mine produced over 100,000 flasks of mercury from its 800-foot deep workings...maybe not a "strike-'er-rich" proposition, but enough to put some real jingle in your pocket. Nearby were the Study Butte, Rainbow, and Mariposa Mines, all of which produced lesser amounts of cinnabar. Texans in the the Presidio area are well aware of the Presidio Mine which has been active for quite a while now (and may still be operating for all I know). 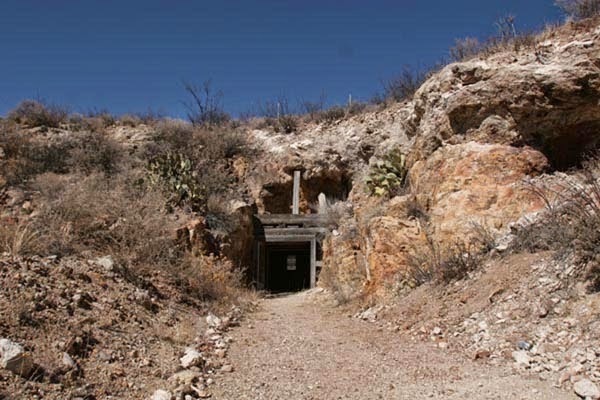 The mine lies near the Rio Grande River at the southeast end of the Chinati Mountains and has nearly 1,000 feet of shafts, tunnels, and other works. 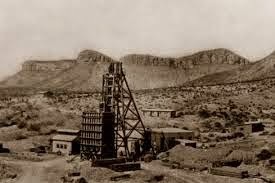 Silver was always the big ticket item at the Presidio and the mine is known to have produced over 30 million ounces of Ag (yep, 30 million! ), 6,000 troy ounces of gold, nearly 150,000 pounds of copper, and 50,000 pounds of lead. All in all, that's a pretty impressive total of precious and semi-precious metals. 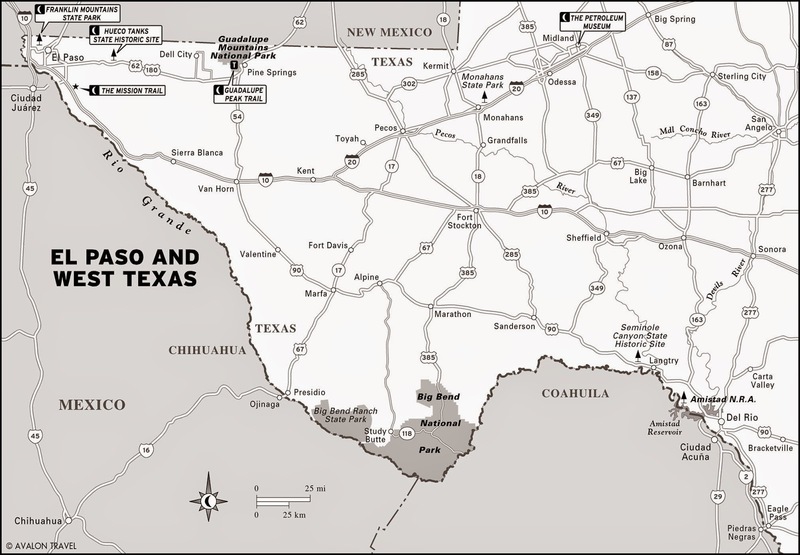 The Presidio Mine was (and probably still is) the largest lode mine operation in the Lone Star State. The Carr and Sullivan Mines lie close by but neither one of these was as big a producer as the Presidio. It's been said that the Chinati Mountain District has never been thoroughly prospected...now's your chance you Tejano miners. The Hazel and Plata Verde Mines were the big producers in the Van Horn District. The former is situated 10 miles northwest of Van Horn, while the latter lies about a dozen miles southwest of town. The Hazel Mine has been worked off and on for silver and copper since 1856. The Hazel has produced over four million troy ounces of silver and, get this...1.5 million pounds of copper! The nearby Sancho Panza and Blackshaft Mines combined to produce a total of nearly 12,000 ounces of silver and over a million pounds of copper. Not too shabby especially when you consider that thieves these days risk life, limb, and freedom to steal copper wire. A short drive west of the town of Sierra Blanca into the Quitman Mountains will bring you to the old workings of the Bonanza Mine, which was worked intermittently for nearly 100 years. The Bonanza produced a mixed bag, including galena (lead-silver ore), lead, zinc, molybdenum, and silver. I couldn't find any production figures for the Bonanza so that tells me it probably wasn't as significant a producer as the mines named earlier. One thing to note about the Sierra Blanca District is the fact the recent geological survey reports suggest that numerous rare earth deposits may lay within its boundaries. Looking forward into the future of technology, I believe that rare earth minerals will become increasingly harder to find and much more valuable. There's something for you to mull over. One thing to note here is that except for Big Bend National Park, there are no Federal public lands (as such) in West Texas, so scratch the idea of filing a claim on Bureau of Land Management (BLM) lands. Additionally, like most of the West and Southwest these days private property issues have become dominant and prevent many of us from prospecting or mining areas we were once free to roam. Welcome to the New World Order folks. Anyhoo, Texans can be very nice folks UNTIL you trespass or disturb their property or lands. Remember that. Thanks for posting this article. It is very interesting. You're more than welcome Jim! J.R.